Built as part of contract 15527, she was delivered to No.99 Squadron Royal Air Force Transport Command at RAF Lyneham on 19 October 1959. Serialled XM498 and named ‘Hadar’, she was operated within 99 and 511 Squadrons’ pool from 7 July 1961. 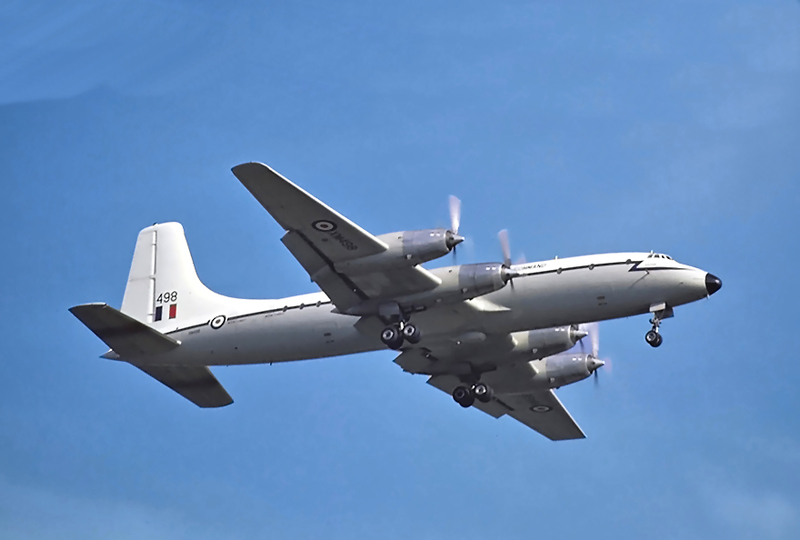 Withdrawn from use by the Royal Air Force on 30 December 1975 and stored at RAF Kemble with a total of 18 206 hours and 7980 landings in RAF service. Flown to Stansted Airport in early April 1976 she was repainted in the colours of Young Air Cargo and registered OO-YCG before being delivered to Brussels the second week of May 1976. OO-YCG flew back to Stansted Airport and was repainted in the livery of Liberian World Airlines for lease and was registered EL-LWG on 11 July 1976. Withdrawn from use she was stored at Manston, Kent in September 1978. 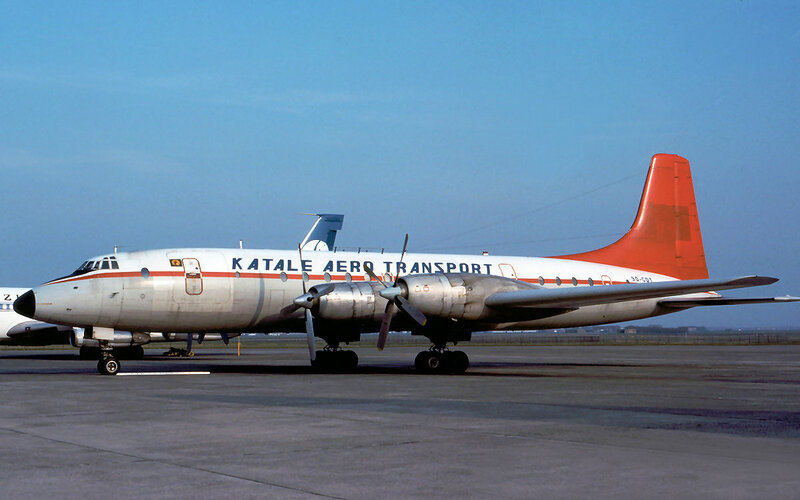 Purchased for and painted in the livery of Domaine de Katale, she wore the title Katale Aero Transport and left Manston for Zaire on 08 May 1979 and was re-registered 9Q-CDT in July 1980. Withdrawn from use 9Q-CDT was stored at Kinshasa, Zaire and sold to Business Cash Flow Aviation as a source of spares for 9Q-CHY July 1988. Confirmed scrapped in early 1992.